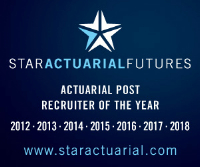 Major insurer is seeking a part-qualified non-life actuary to provide actuarial analysis to support the assessment of capital requirement in respect of claims risks as part of the delivery of the internal capital model. With strong analytical skills or programming experience and business acumen, the successful candidate will ideally possess experience of working with programming language such as VBA, R or SAS. Well-honed communication and interpersonal skills also essential. This position offers a great opportunity to build on your current skills and strengths, increasing your exposure and understanding of reserving, so contact us now for more information.